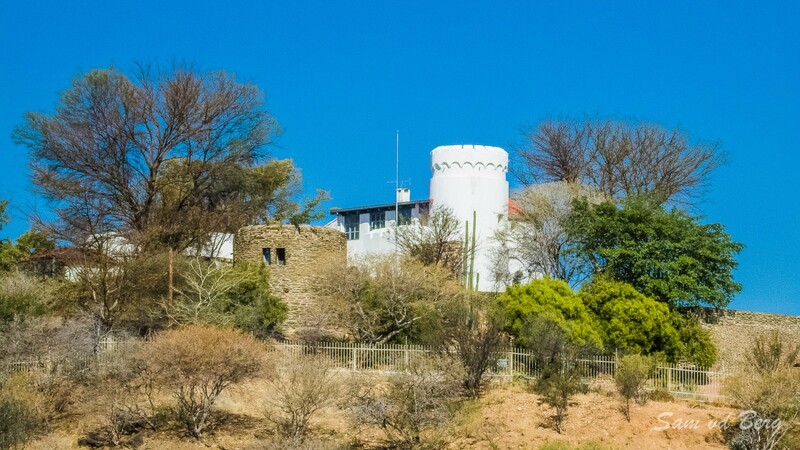 As you travel in Sam Nujoma Drive towards Klein Windhoek from the City Centre there are three castles to your right. The most visible and biggest is Schwerinsburg, the tower of which was built in 1891 by Curt von Francois during the time of construction of the Alte Feste. In 1904 the army sold the tower to Wilhelm Sander, well known architect, who converted the place to a beer garden called "Sperlingslust". In 1913 it was bought by Dr. Hans Bogislav Graf von Schwerin, who engaged Wilhelm Sander to convert the tower into a castle to be used as a private home. It was named Schwerinsburg after the new owner. 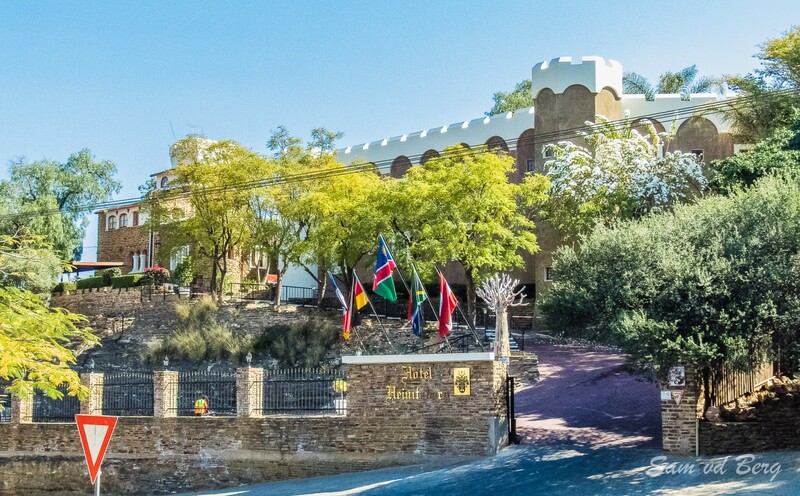 Today it is the residence of the Italian Ambassador to Namibia. Sanderburg is the smallest of the three castles and was built between 1917 and 1919 by architect Wilhelm Sander as his private residence. The style combines several medieval features. Heinitzburg Castle was built in 1914 by architect Wilhelm Sander for himself. in 1916 he sold it to Hans Bogislav Graf von Schwerin, who named the castle Heynitzburg after his wife Margarete's birth name "von Heynitz". 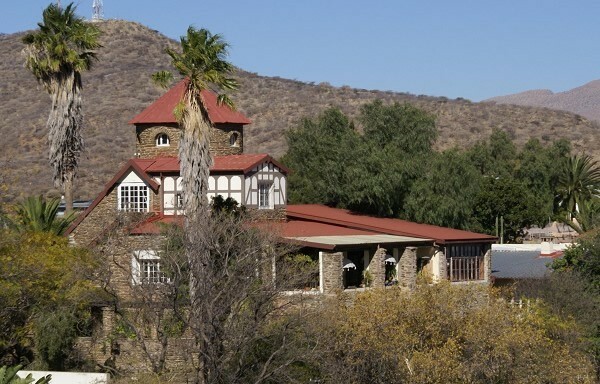 It is now a public hotel and restaurant.